I first heard about this album shortly after the recording sessions, and it seems to have been a long wait for the final release of the finished product. However, it must be said that it has been worth waiting for, with Nikki Iles and her cohorts producing an album that it full of surprises and a joy to listen to from start to finish. The band have honed much of this material on the road, and then taken the unexpected decision to record not in a state of the art studio but ‘live’ in a friend’s drawing room in the heart of the Lake District, and Iles’ modestly describes the results as a snapshot of The Printmakers over those two days of recording. The truth is perhaps somewhat different as even the briefest of listens quickly reveals. As an established group with a stable personnel, The Printmakers approach the material with a familiarity with each other’s playing that allows complete trust, and the knowledge that all will follow wherever the music takes them. The result of this is that they have been able to choose a repertoire that is broad and far reaching, and yet never sounds like anything other than themselves, with the group identity and sound shaping the material whilst retaining the integrity of the original. The chosen material veers from originals from Nikki Iles with lyrics from Norma Winstone, to covers of compositions by guitarist Ralph Towner (again with lyrics by Winstone), and songs from the pens of Joni Mitchell and Paul Simon. Towner’s ‘A Breath Away’ swings as hard and conventionally as any ‘standard’ with superb contributions from Mark Lockheart on tenor and guitarist, Mike Walker, and the playful aspect of the group is brought to the fore on another Towner piece ‘The Glide’ with Lockheart this time on soprano saxophone. The group explore the more abstract side of the music in the intro to John Taylor’s composition ‘O’ before the piece leads them into more familiar territory. Winstone excels at this sort of tune, and her wordless vocalising is wholly in tune with the composition. Lockheart is again heard on soprano with an excellent solo. The title track is perhaps the wild card of the session, and not immediately linked to what has come before or after in the repertoire. One of two pieces from ‘In All My Holy Mountain…’, a commission from John Williams and poet Roger Garfitt, and sets the scene of the writer Mary Webb’s birthplace in Shrposhire. Lyrics were added later by Norma after having read ‘Postcards’ by Annie Proulx, and her words tell of a cowboy who kills his wife and then send postcards home from his travel. The banjo heard faintly at the close of the piece is courtesy of Steve Watts. 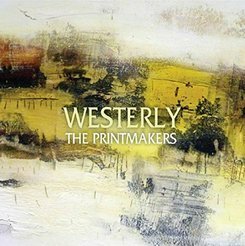 With a wealth of collective experience¸ The Printmakers have forged a strong collective identity that allows for the liberties taken with, and the wide range, of the chosen songs. If I have mentioned only in passing individual contributions, this is not to dismiss some fine playing from guitarist Mike Walker or Iles herself but purely because the album works as a total that is greater than the sum of it’s parts. Coming soon as our Album of the Week and a strong contender for inclusion in our Albums of 2015, this is one not to be missed.